Faviana S10267 is a fresh twist on a classic gown. 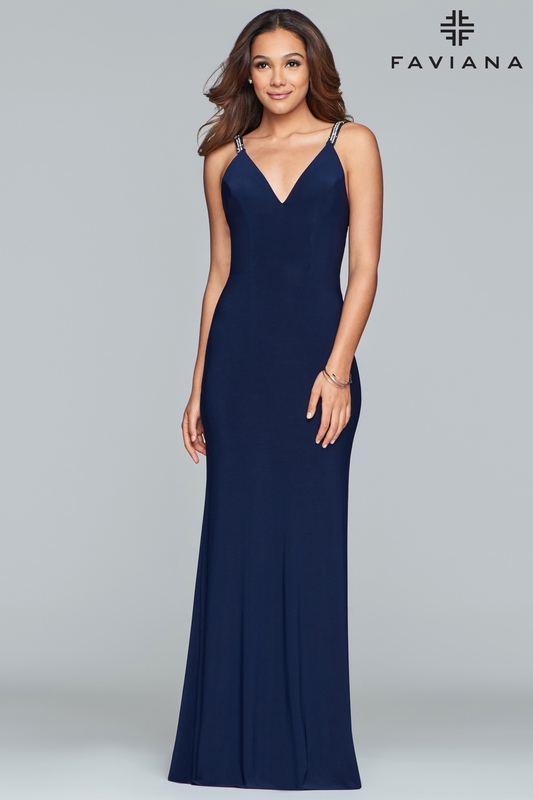 The dress is made of a stretch Jersey material which is form fitted to your curves and also features an open back with beaded criss cross straps and a zipper close. The v-neckline adds the perfect amount of classiness to this traditional yet gorgeous gown!